Epileptic seizures are the result of synchronous discharges of neuron groups in the brain that can lead to sudden and involuntary stereotypical behavioural or sensory disorders. Numerous types of seizures have been described, each of which requires specialised therapy. The probability of them occurring depends on a number of factors. In addition to genetic predisposition, it is primarily exogenous factors that are relevant, such as accident, thrombosis, tumours or meningitis. Therapy with anticonvulsive medication (antiepileptics) leads to a reduction in seizures and sometimes even a complete elimination of seizures in most treated patients. The precondition for the antiepileptics to have a therapeutic effect is usually patient compliance, which means regular use of the medication. Thus, monitoring of the blood levels is essential, especially during initial dose setting. 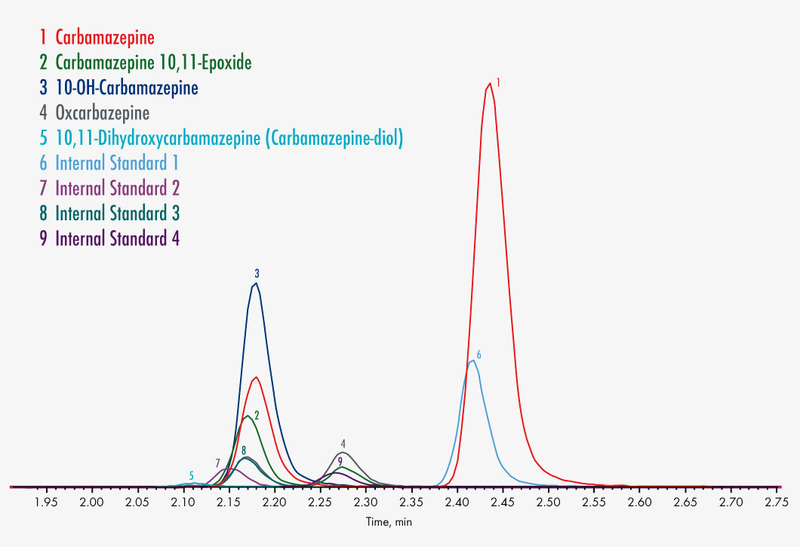 With the Parameter Set Antiepileptics in serum/plasma, 26 different drugs can be measured quickly and efficiently using LC-MS/MS. 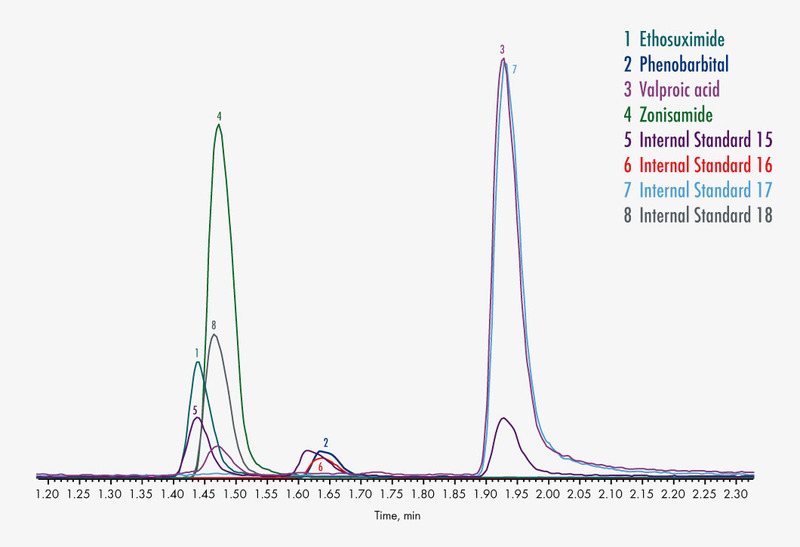 Due to the careful optimisation of all kit components as well as the chromatographic separation, matrix effects (“ion suppression”) are minimised and the robustness of the method is enhanced. Sample preparation is based on a protein precipitation step. 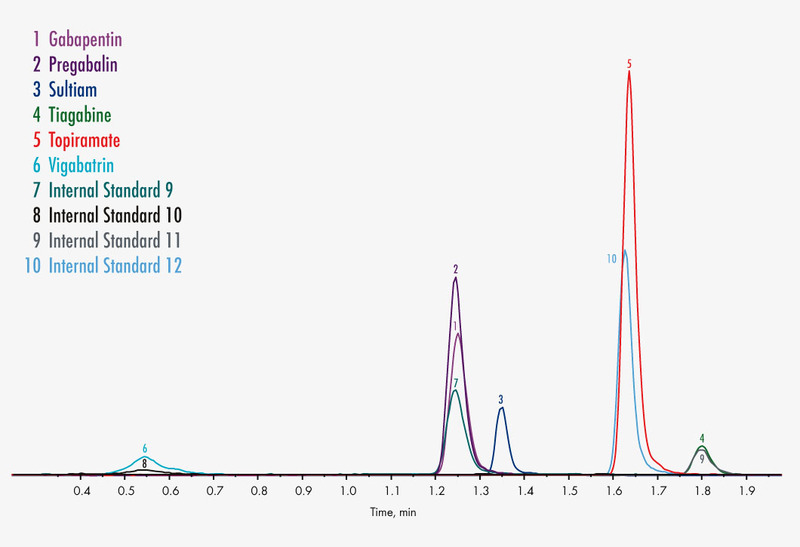 The use of stable isotopically labelled (deuterated) and co-eluting internal standards as well as 3PLUS1® multilevel calibrators ensures high precision and the reproducible and reliable quantification of the analytes. The method is comprehensively validated. 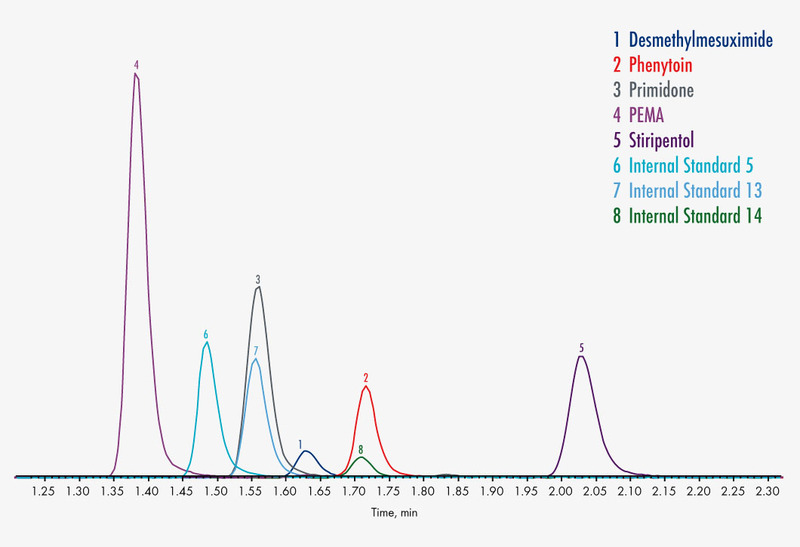 The Parameter Set is a part of the Series A modular system, which enables the analysis of more than 170 parameters without switching column or changing the mobile phases, thereby minimising required workload in the laboratory. The Basic Kit A contains all components required for sample preparation and all necessary mobile phases. 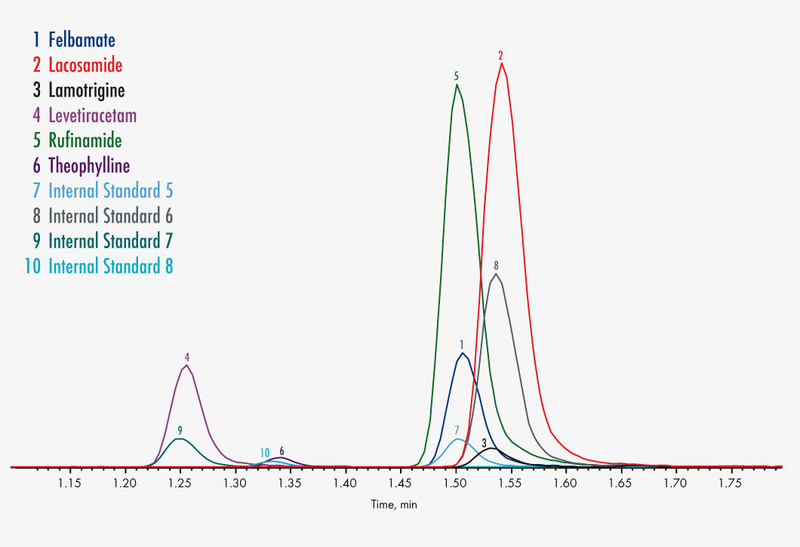 The MasterColumn® A is the analytical column used for the determination of all Series A analytes. 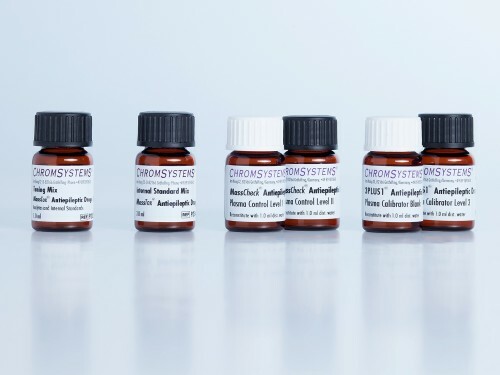 Our portfolio contains further MassTox® Parameter Sets for covering more than 170 substances and metabolites. Stored in the dark and cooled at +4 °C patient specimens are stable for at least 24 hours. For longer storage periods keep them frozen at approx. -20 °C. Samples are stable up to 1 week at +2 to +8 °C. For longer storage periods keep samples frozen below -18 °C.